Swarovski crystal collectors understand the importance of having proper insurance on their Swarovski collection. Ensuring that the data is up-to-date and reliable source is essential for accurate coverage. Warner’s Blue Ribbon Books Online Swarovski database is the most well-known source for Swarovski values. Warner’s Blue Ribbon Books are the principal authorities for researching providing and Estimated Replacement Values for insurance purposes on retired Swarovski crystal figurines. Recently, they revised their popular online database with the 2012 data from their publications, which were launched in March. Swarovski crystal fanatics know that having this information available at their fingertips, using common web-like search accessibility, is a true asset. 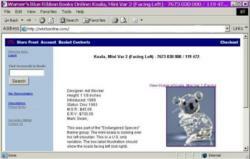 This Swarovski Online Book, located at http://www.wbrbonline.com , contains over 3200 Swarovski crystal figurines in its database. Summarizing functionality of the online database, Swarovski collectors may purchase an annual subscription to the web site that will allow them access to a vast amount of information about thousands of Swarovski product releases. Being an active subscriber, a Swarovski collector will be able to view color images of the Swarovski Crystal items, find out the Designer, Dimensions, Year Introduced, Year Retired, MSR (Manufacturer Suggested Retail Price) and Swarovski Value (ERV). There is also a short paragraph of information containing the theme group, history, or interesting facts for the crystal figurines. Warner's Blue Ribbon Book on Swarovski Online covers all the lines produced by the company Swarovski. These product lines include: Silver Crystal, Swarovski Crystal Society (SCS), Lovlots, Chinese Zodiac, Disney, Soulmates, Crystal Moments, Home & Interior, Daniel Swarovski Home Accessories, Daniel Swarovski Masterpiece, Hello Kitty, Julia's World, Perfumes, Paperweights, Trimlite, Crystal Signatures, Christmas Memories, Crystal Scents, CrystalograMs, Buddha, Arribas Creations, Crystal Paradise & more! The online book also includes the Swarovski Crystal Society issues, beginning with the Lovebirds in 1997, and the most current release for 2012, Paikea the Whale. The online Swarovski database can be accessed world-wide using a personal computer, iPad, or smart phone. 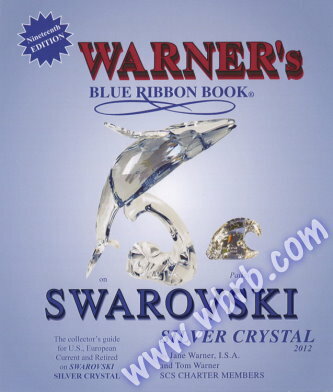 Warner’s Blue Ribbon Books on Swarovski has published Swarovski Catalog books on Swarovski Crystal for nineteen years. No other company in the world has launched a site with the all-inclusive data that the Swarovski organization has compiled for the 35 years. For the Warner’s, keeping their printed books and online subscription service current takes a lot of time and commitment to do this each year. The authors, Tom and Jane Warner, are Swarovski collectors and they know the value of these books for keeping a Swarovski collection organized and insured! The Warner’s continue to publish their printed Swarovski books in both color and black-and-white image formats. The Silver Crystal Price Guide contains photos and detailed information about SCS products and Silver Crystal product releases (as well as product variations on those releases) for the past 36 years so it covers 1300+ Swarovski Crystal items. Their Beyond Silver Crystal Swarovski Price Guide contains information on over 1800 Swarovski Crystal and products. The contents of this book are all Swarovski items that are not Swarovski Crystal Society releases or part of the Swarovski Silver Crystal product line. 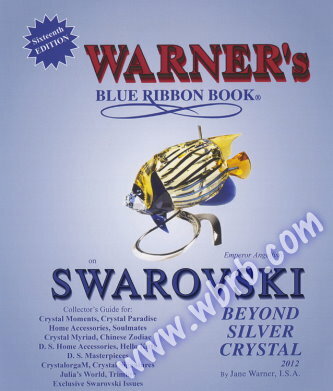 Warner’s Blue Ribbon Books on Swarovski can be found by visiting their website which has been online for over eighteen years. The Swarovski subscription service, http://www.wbrbonline.com has been online for the past eleven years. Swarovski collectors and readers come back each year to stay on top of their Swarovski collection value and management. For the passionate collector looking for more than Swarovski Books, they can also provide recommendations to reputable retired Swarovski dealer like Crystal Exchange America. Crystal Exchange America presently has over 5000 Swarovski crystal figurines in their online store, most of which is retired Swarovski. Crystal Exchange America also maintains an interesting Swarovski Blog, the Kristall Buzz, which contains exciting news and information updated two to three times each week. Warner’s Blue Ribbon Books on Swarovski is not affiliated with, endorsed, or sponsored by Swarovski. They simply research and report information that they believe is a valuable asset to Swarovski collectors.